Running in Orange County. 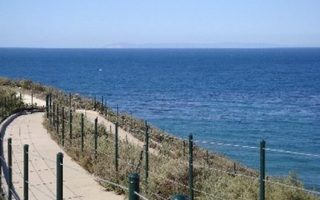 Best places to run in Orange County. 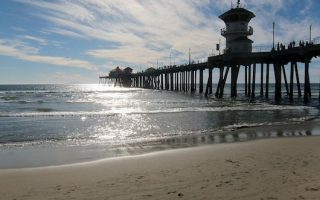 Orange County is a 3+ million population area south of Los Angeles, comprising Anaheim, Irvine, Santa Ana, and Huntington Beach. The area is mainly suburban and there is no anchor city. Despite its relatively urban and spread out geography, there is good running to be found in Orange County. 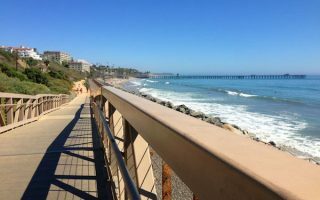 The best places to run in Orange County are along the 40 miles of coastline, some of the hill areas, an excellent series of recreational trails, and some large parks. 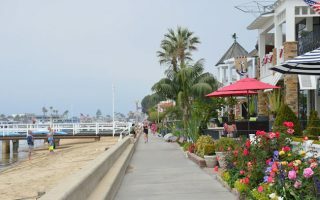 Our favorite places to run in Orange County are along the beach and on the bluffs in Huntington Beach, Newport Beach, Laguna Beach, and Dana Point. 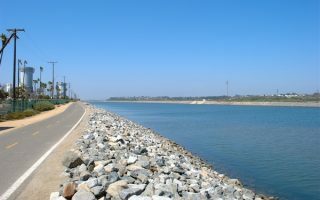 The Santa Ana River trail stretches for 30 miles between Huntington Beach and Riverside. 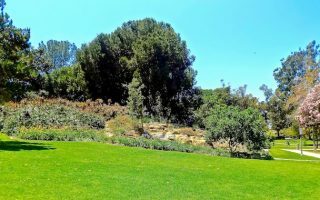 There are also great parks and trails in Irvine and around the university. If you’re in Anaheim at Disneyland or the convention center, I must say the options aren’t great. 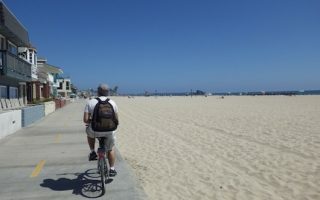 Best bet is to head 2 miles over to the Santa Ana River Trail, or drive to Mile Square Regional Park or Huntington Beach. As for getting around: car required. Not that much public transportation in the area. For more running options in the greater L.A. area, see our Los Angeles Running Guide. Pleasant, 475-acre park with several miles of trails nestled among a grove of heritage oak and sycamore trees. Best bets are 4-mile Equestrian Loop, 3 mile Horseshoe Loop Trail 1.3 mile Road Runner loop. Paved & dirt paths. Tons of great running in the area. Campus highlight is Aldrich Park, a hilly, grassy expanse with great views. 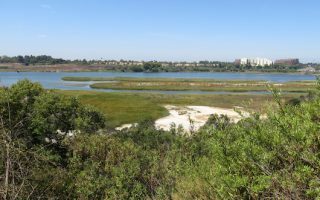 Within 1 mile of campus are Mason Park (2 mile trail), San Joaquin Marsh and Wildlife Sanctuary (11 miles of trails), and Newport Back Bay Loop. 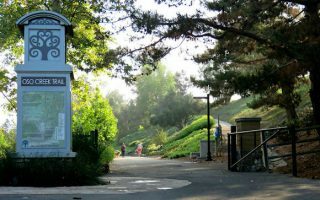 One can put together 3-4 miles of trails in the Oso Viejo Community Park. The trails feature an Oak Grove, garden maze, butterfly garden, and a walkway made of recycled glass. For a longer run, the residential area east of the park is pleasant. 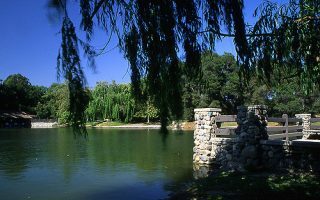 This 670 acre park is one of the best spots to run near Anaheim/Disney. It's 1 mile along each side of the park. Or, enjoy some of the interior trails. 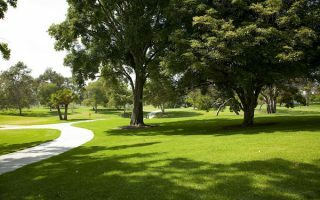 There are lakes, golf courses, nature trails, recreational fields, and more. Orange County climate is southern California delightful. Mild to warm and fairly sunny year-round. Irvine’s climate is similar to that of Los Angeles. 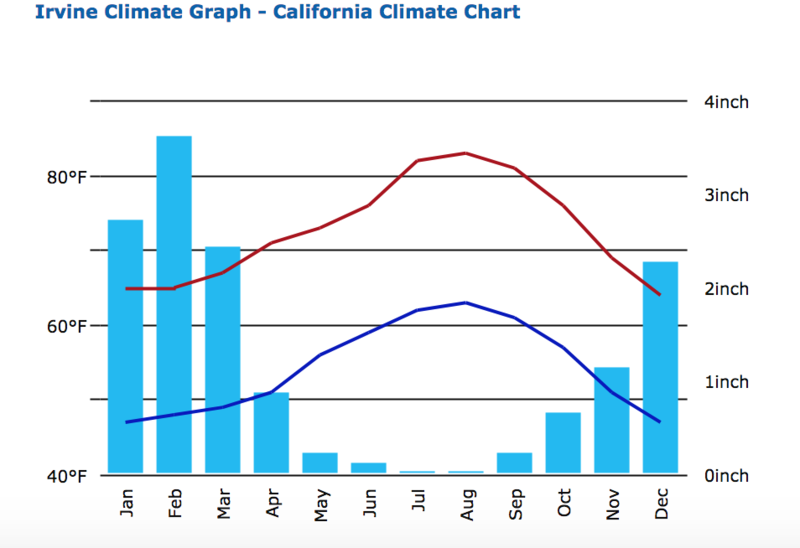 Average high temps in summer are in the low 80s, but the climate is dry and nights cool off. In winter, daytime high temps average in the mid-60s (18C), and nights can dip into the 40s. Most of the area’s rain falls in the winter months. There are micro-climates in the region due to the ocean influence. 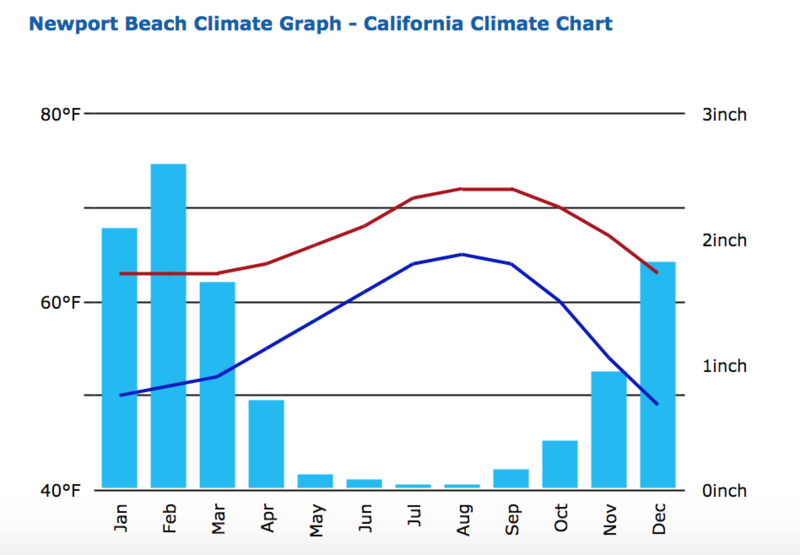 In Newport Beach, average high temperatures in summer are 10 degrees colder than inland, but nights stay milder. It can also be cloudy and foggy on the coast. There are some great indy running stores in the area, some with active group running calendars. A Snail’s Pace. Two locations. Mission Viejo and Fountain Valley. Group Runs. This calendar has a list of their run club by location. Fleet Feet. Laguna Niguel. 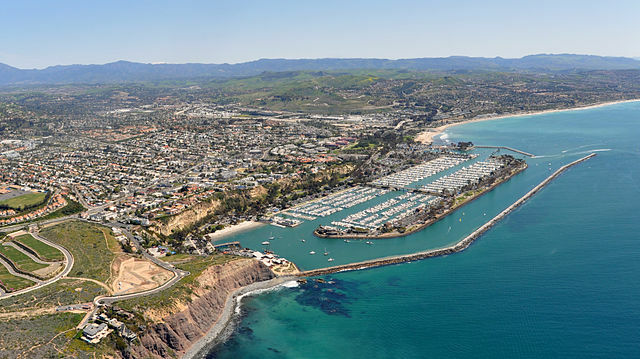 Group Runs: Saturday morning run 7am, Dana Point Harbor; Tuesday nights 6pm from the store along Salt Creek Bike path; Trail run last Sunday of every month. Running Calendar, courtesy of A Snail’s Pace. The 16-year-old Orange County Half Marathon in early November will be joined by the inaugural Orange County Marathon the first weekend in December, with the Southern California Half Marathon following in January. 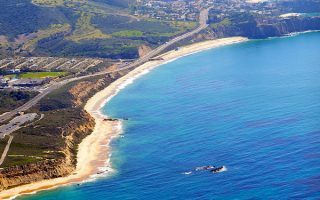 Within a 90 minute drive: The L.A. Marathon, San Diego Marathon and Half Marathon, Rock ’n’ Roll Marathon, the Carlsbad 5000 and others.